Since the days of Jiang Zemin, Chinese military-strategic guidelines  have emphasised the requirement for the People’s Liberation Army to focus on ‘informatisation’  as a key component of its modernisation efforts. The essential requirement for informatisation is not lost on Chinese President Xi Jinping, who is making a determined effort to ensure  that PLA modernisation is complete by 2035 and that it results in a ‘world-class’ force capable of fighting and winning wars anywhere by 2050. Space capability and ‘space power’ are central components of PLA informatisation and China is developing sophisticated thinking and capability for waging war in space. The 2015 white paper also resulted in the formation of the PLA Strategic Support Force , which was created as part of a major reorganisation of the PLA. The PLASSF focuses on the roles of space, cyberspace and the electromagnetic spectrum in Chinese military operations, and highlights  doing more in space as a priority for the PLA. It is the PLASSF that leads development of Chinese military space doctrine, including PLA counterspace doctrine, while the PLA Rocket Force controls operationally deployed anti-satellite weapons (ASATs). China’s testing  of ASATs—including, notably, the January 2007 test  that destroyed a defunct Chinese satellite in low-earth orbit (LEO)—has transformed the nature of the space domain. No longer a peaceful sanctuary that sits above terrestrial geopolitical rivalries, space is fast becoming a contested warfighting domain. China has conducted numerous tests of counterspace capabilities over the past few years, including both direct-ascent delivery systems for kinetic-kill ASATs, potentially  out to geostationary orbit, and more sophisticated co-orbital  capabilities suitable for ‘soft kill’ systems and intelligence gathering. Other nations are responding to China’s actions. The 2008 US ‘Burnt Frost’  demonstration of an ASAT capability and, more recently, the Trump administration’s decision to establish a US space force  are driven by Chinese (and Russian) counterspace capabilities. India  tested its own ASAT last month, primarily as a response to the threat posed by Chinese capabilities. China hasn’t formally released a space warfighting doctrine and instead repeats boilerplate foreign affairs rhetoric  claiming that it ‘always adheres to the principle of use of outer space for peaceful purposes and opposes the weaponisation of or an arms race in outer space’. This bland statement contrasts with the thinking on space warfare coming out of Chinese military institutions and academies. A recent assessment  of global counterspace capabilities by the Secure World Foundation cites primary sources inside China’s space policy community that consistently emphasise the need for the PLA to control space and deny access to adversaries. The report suggests that China has a requirement to achieve space superiority, defined as ‘ensuring one’s ability to fully use space while at the same time limiting, weakening, and destroying an adversary’s space forces’. They note that Chinese thinkers argue that ‘whoever controls space will control the Earth’. The analysis gives us an insight into what Chinese military analysts thinks space warfare might be like. China would ‘strive to attack first at the campaign and tactical levels in order to maintain the space battlefield initiative’. The military’s intent should be to ‘conceal the concentration of its forces and make a decisive large-scale first strike’. That sounds like the classical concept of a ‘space Pearl Harbor’ that’s designed to eliminate  US and allied space-based C4ISR (command, control, communications, computer, intelligence, surveillance and reconnaissance) satellites, leaving their terrestrial forces deaf, dumb and blind, and unable to undertake joint and integrated information-based operations. China pursues a dual-track approach of building successive generations  of more capable satellites to support the PLA in achieving informatisation and developing a suite of counterspace capabilities to shut out its opponents. Space is vital to the PLA’s ability to conduct anti-access/area-denial (A2/AD) operations at long range against US and allied forces. Without Chinese satellites for long-range communications, intelligence, surveillance and reconnaissance, and precision navigation and timing, its A2/AD capabilities simply won’t be effective. At the same time, counterspace capabilities can function as part of A2/AD by threatening vital Western C4ISR capabilities prior to, or at the outset of, a major military conflict. China’s 2007 ASAT test generated a massive cloud of space debris that drew international opprobrium. Since then, Beijing has focused on exploring the potential of more sophisticated co-orbital and soft-kill technologies. A report prepared in 2015 for the US–China Economic and Security Review Commission point s to an increased emphasis in China’s ASAT and counterspace efforts on directed-energy weapons, electronic warfare, jamming and dazzling, as well as cyberattack methods such as spoofing, rather than physical destruction. That assessment is reinforced by both the Secure World Foundation analysis and the Center for Strategic and International Studies’ 2019 space threat assessment . China continues to develop co-orbital systems that could fulfil an on-orbit servicing or space-based space situational awareness role. They could also potentially be applied to an ASAT role using soft-kill mechanisms such as jamming. The PLA’s military space capability is likely to be supported by increasingly sophisticated and capable satellite networks—including, notably, the broader application of the Beidou  global navigation system, which China is rapidly completing. This will offer the PLA an alternative to US GPS in support of joint warfare and precision strike, and better support power projection by the PLA Navy and PLA Air Force in far-flung operations, such as in the Indian Ocean region. China’s space access will continue to rest on a government-run space program led by the PLA and the China National Space Administration . 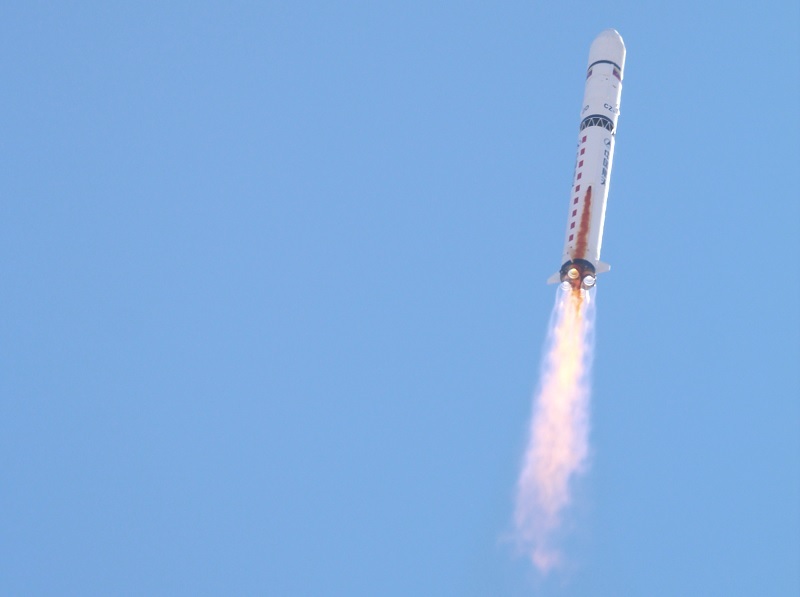 However, a Chinese commercial  space sector seems to be on the horizon, which could see China emulate the ‘Space 2.0’ approach that has led to the likes of SpaceX. That could mean the development of spaceplane  technology and, potentially, reusable  rocket systems which would make it easier for China to access and use space more quickly. Chinese counterspace capabilities would benefit from the dual-role application of ballistic missile defence and the potential for co-orbital systems capable of rendezvous and proximity operations. In part 2, I’ll consider where China’s human space activities fit into military space power, including the astrostrategic significance of the moon as ‘high ground’ for the 2030s and beyond and draw implications for the shape of future warfare. Malcolm Davis is a senior analyst at ASPI. Edited image courtesy of Cristóbal Alvarado Minic on Flickr.